There are wars going on, and they aren’t just happening out in the world. There are also wars that are going on in many, many marriages. We’re talking about the “war of words” that we know is being fought daily. And sadly, there are many innocent children and families who are truly being victimized because these “adult” spouses can’t (often times won’t) stop the fighting. 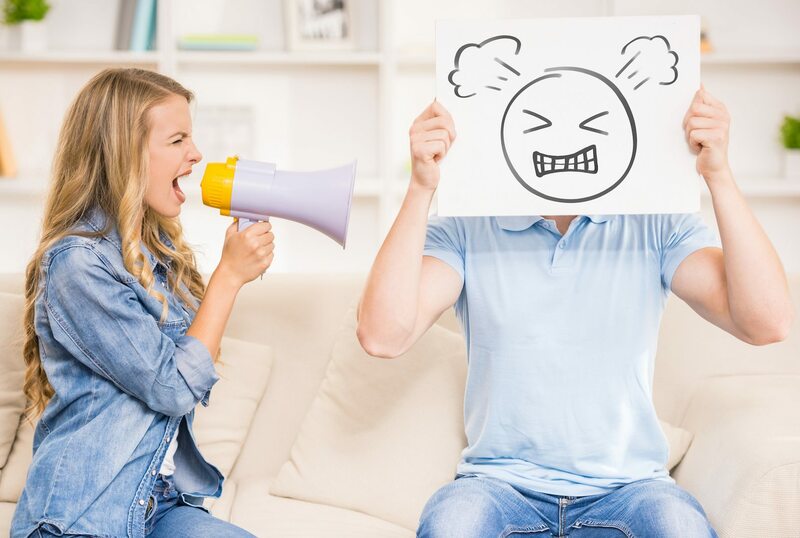 We confess that earlier in our marriage, we got caught up in the “war of words.” We would lob hurtful words back and forth at each other like hand grenades. We even unwisely used the “D” word (divorce) too many times to count. And it should never have been —especially after we asked Christ to be our Lord and Savior! It took us too long to wake up and let the Lord help us get out of such destructive behavior. Since then we have learned, and are learning better. But we are determined not to allow this war to continue in our home. We pray that for you too. God CAN help us ALL to get to a better place if we ask, and then follow His leading. But we have to be willing and open to looking for the help that we need. And then we have to apply that, which we learn, None of those steps can be dismissed or we will be on the losing side of this war of words. We will give into temptation. “Recognize the destructive power of words. Paul warns us, ‘watch out or you will be destroyed by each other‘ (Galatians 5:15). We will never win the war of words as long as we minimize how critical a battle it is. The most powerful way we influence each other is through words, which encourage, rebuke, explain, teach, define, condemn, love, question, divide, unite, sell, counsel, judge, reconcile, war, worship, slander, and edify. People have influence and words have power. It is the way God meant it to be. Please recognize that our words can bite and devour each other. They can also cause damage to others who pick up the residual shrapnel that bursts forth from those toxic words. We may THINK that our words are directed at our spouse, but that can be deceiving. To understand this better, please read: Spouses Arguing in Front of Others and also, Spouses Fighting in Front of Children. Our words can also be expressed louder than it is healthy sometimes. Also, please look around the web site to see what else you can find to help you. We have a list of topics at the bottom of this web site, and a drop down box at the top of the web site. One of the topics listed is “Abuse in Marriage.” With all that is being presented here, we want you to know that if you are dealing with abuse issues, it is important to address them. Verbal and/or physical abuse is NOT acceptable, nor healthy behavior. Don’t keep allowing this to go on. Do what you can to “live in peace” and encourage peace. You may want to read more of what David Tripp says about this issue by reading, War of Words. Check it out. We highly recommend it. Fantastic post. I loved it. Thank you Jai, we pray it makes a positive difference in many, many marriages.